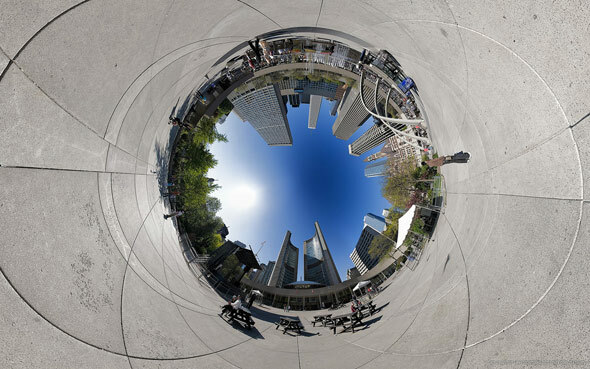 You may recognize this awesome shot of City Hall at Nathan Phillips Square, taken by Toronto photographer Sam Javanrouh (of Daily Dose of Imagery fame). It was featured on the cover Toronto magazine Spacing's 7th issue. Sam has delivered a couple more interesting, mind-bending views of the beloved/dreaded square. Cruising the blogTO Flickr Pool, I stumbled upon his "tunnel" and "planet" versions. 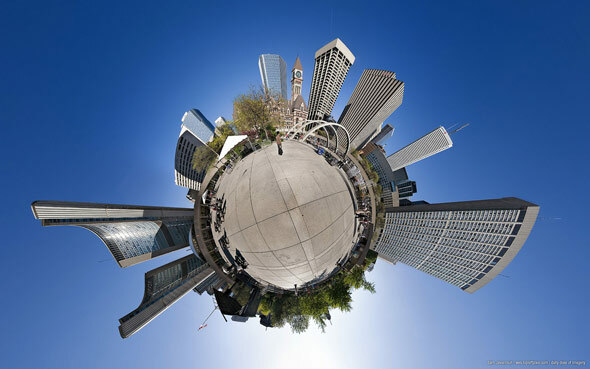 Nathan Phillips Square - Planetized (click for larger view).